Thanks for the excellent walk-through. 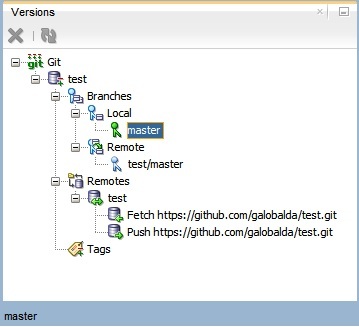 All seems to work okay for me until I try to view my Git repository in SQL Developer (4.0.2). 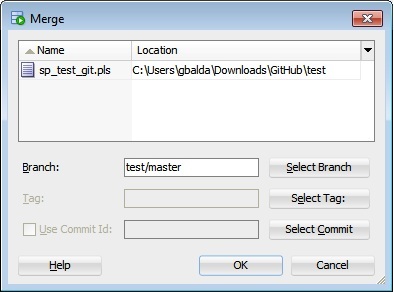 When I oopen the Versions panel I see the Git icon but nothing below it. The local repository was created without incident when I walked through the steps as you outlined above. Any ideas? Thanks for stopping by. I haven’t upgraded to 4.0.2 yet but what happens if you open any of the files (using SQL Developer of course) that are in your local repository? That sounds like a bug. I’m checking with the SQL Developer PM. 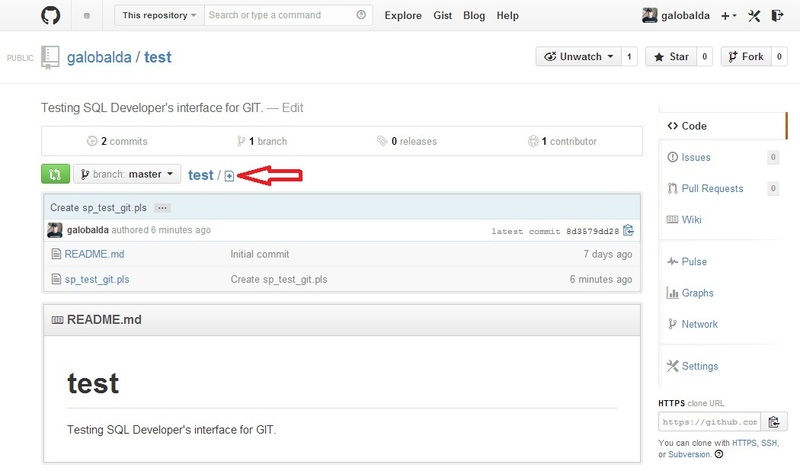 Can you open a file that’s in the repository using the “open file dialog” and see if that activates the git tree on the versions window? I tried that and no luck. 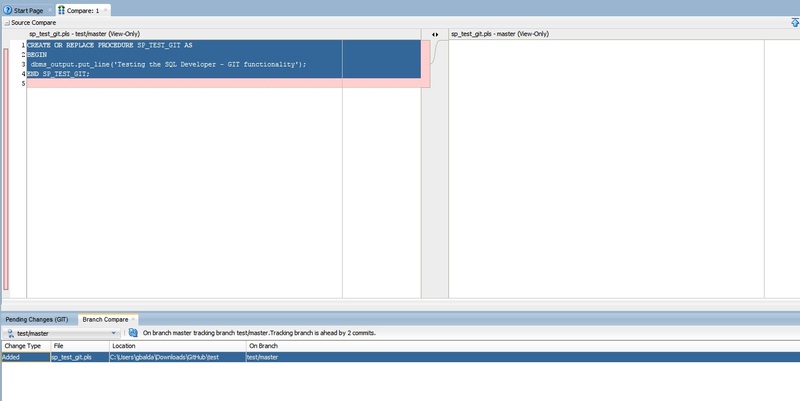 I’ll keep looking at it and thanks for checking it with the SQL Developer PM. That’s really strange. I can reproduce the fact that nothing is displayed under the Git tree by default (the PM said that’s how git behaves) unless I go and open a file that’s part of the local repository. Do you see any errors being displayed on the Logging Page? 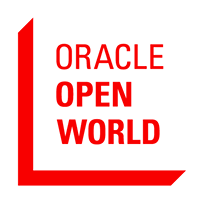 I suggest you post your issue on the OTN Forums. The SQL Developer PM and some of the developers are always monitoring the forum and helping people with their questions. I am experiencing the exact same problem as described by Jay. Am using SQL Developer Version 4.0.2.15 build 15.21 on 62 bit Win 7 Pro. 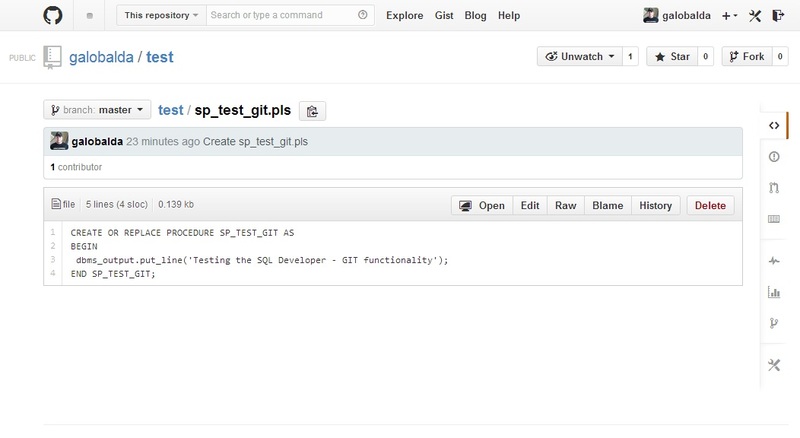 In the “Team….Versions” window it shows the Git icon, but unable to expand it. Right clicking on “Git” icon in “Versions” window only shows “Clone…”, “New…”, and “Connection to Subversion”. I tried opening a file that’s part of the local git repo, but it had no effect. Also tried closing and opening SQL Developer, but it has no effect. I went to the URL to the OTN Forums you provided to Jay, logged in, located your post of the git version issue, “Liked” your post there and gave it 5 stars. When I installed SQL Developer 4, I declined the offer to migrate settings from SQL Developer 3. You mentioned in one of your other posts that you needed to decline in order to get the git to work. It did not help in my case. I kept upgrading SQL Developer without issues (v 4.0.2.15 Build 15.21 currently) and everything was fine until one day when the GIT functionality stopped working again. I’m not sure what happened but I suspect the java 7 update 55 may have something to do with it because it’s the only thing that has changed on my pc. I haven’t done any testing to confirm/deny this idea. It could help to get attention to this bug if readers could “like” it there.